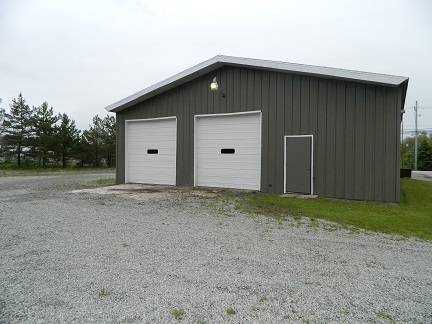 40' x 60' metal building on 4 acres of ground, located at 893 Berlin Plank Road, Somerset, PA. The property is within quick access to major highways, north-south Route 219 and east-west PA Turnpike. Zoned light industrial with 3 phase electric. Property also has a large parking lot with great exposure. Low taxes and utilities. The building has two large overhead doors and one standard size, and has a carpeted office or showroom in the front.